Coffeeneuring season is upon us! 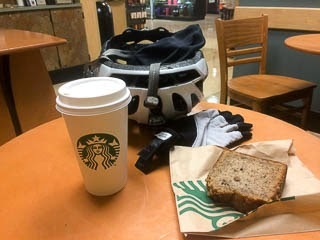 It actually started two weeks ago (10/04), but I've been too busy with other rides to take time for coffee. Oh, the horror! 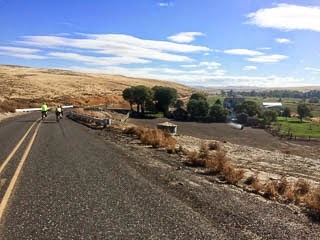 I finally managed to squeeze in a coffeeneuring ride during a recent trip to Eastern Washington. 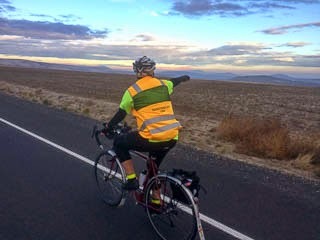 Jason and I drove to Richland, WA to ride with the Desert River Randonneur crowd. 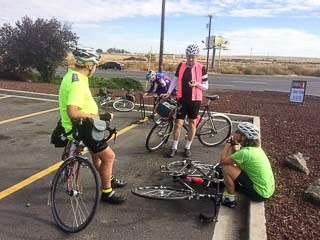 Five of us (Norm and Gary from DRR, Susan from Oregon, and Jason & I from SIR) met to ride the Richland-Pendleton-Richland 200K permanent on Saturday. 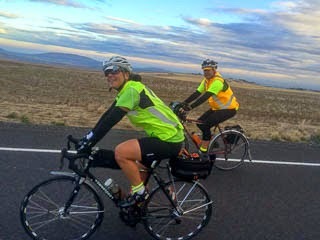 Susan, Jason, and I, being out-of-towners, stayed in a hotel near the ride start. Coincidentally, the ride started at a Starbuck's. Even more coincidentally, the bike ride from the hotel to the start was 2.3 miles -- perfect coffeeneuring distance! 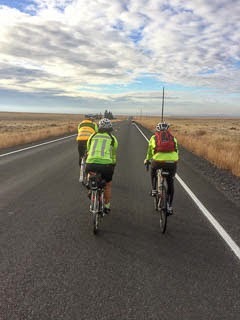 With a planned 7:00am start, the three of us left our hotel about 6:15 for an easy ride to the start. The day started off a bit cold, so covered legs & arms were in order. The day was dry, with enough clouds to add visual interest to the sky. 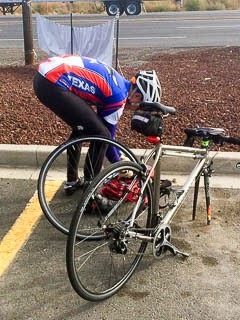 The "Flat Fairy" worked overtime on this ride. 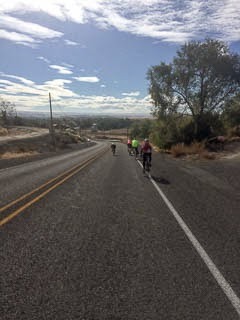 Susan had a flat early on, Gary had two flats in quick succession (one front, one rear), and I had a flat later in the day. 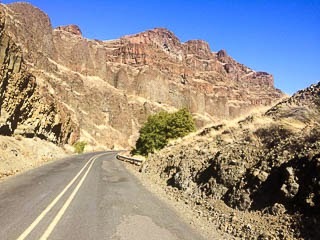 We eventually dropped down into a beautiful canyon. 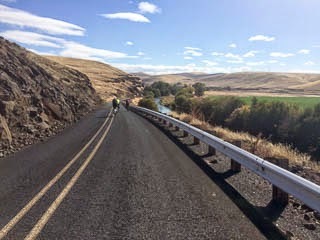 The road surface was "suboptimal" (I've ridden on gravel trails that were smoother) but there was little traffic and the scenery was awesome. 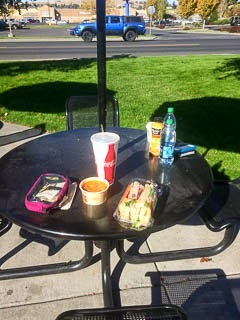 We eventually reached Pendleton, our half way point, and an excellent time for a lunch stop. En route back to Richland, we climbed Plymouth Road just as the sun was setting. 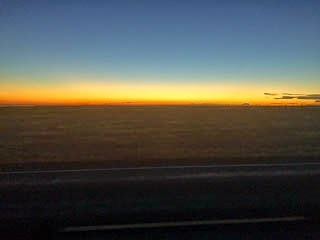 If you look carefully, you can see Mt Hood (to the left) and Mt Adams (to the right) in this photograph. Mt Rainier was feeling shy that day; she's hiding behind the clouds. It was an excellent ride with some of my favorite riding companions. All that, and coffee too! That's hard to beat.